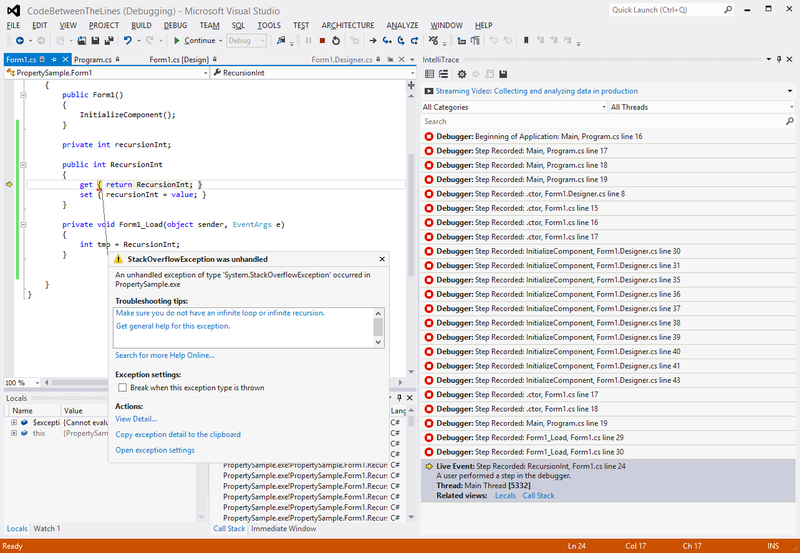 I've upgraded to Microsoft Visual Studio 2012 recently and am very happy with the new IDE. I would however, like to talk about Recursion. Recursion is basically a programming technique involving the use of a function that calls itself one or more times until a specified stopping condition is met at which time the rest of each repetition is processed from the last one called to the first. A common "bug" when you don't set your stopping condition correctly. In such a case the recursion process keeps calling itself until it uses all the processes resources and crashes. When this happens it is clearly a programming bug and not the IDE's fault. I made a recursion error that I believe the new IDE should have stopped me from making. Below is the snippet, can you see the problem ? The get function of the RecursionInt Property calls itself instead of recursionInt (I capitalized by mistake). 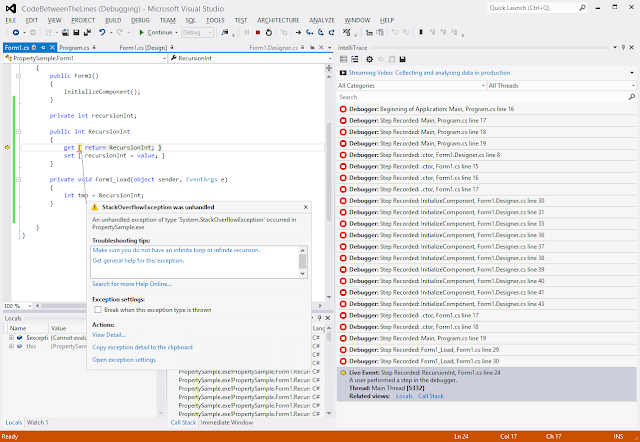 I would have thought the new Visual Studio IDE would detect such simple mistakes and stop the at design time just like they do when a function does not return any value. 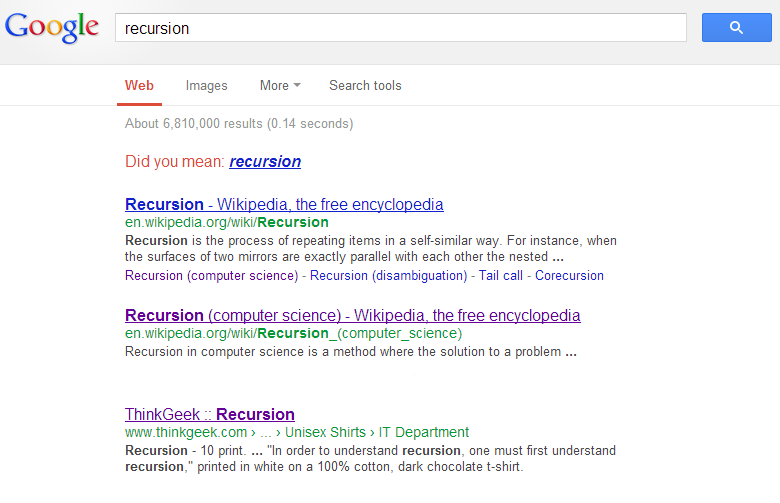 Just for fun, take a look at recursion by searching for it with Google. Google is using the "Did you mean" feature, to illustrate the definition of recursion.